Complete package with CRM, stock, sales stats and order processing. Responsive design. SEO friendly e-commerce solution. 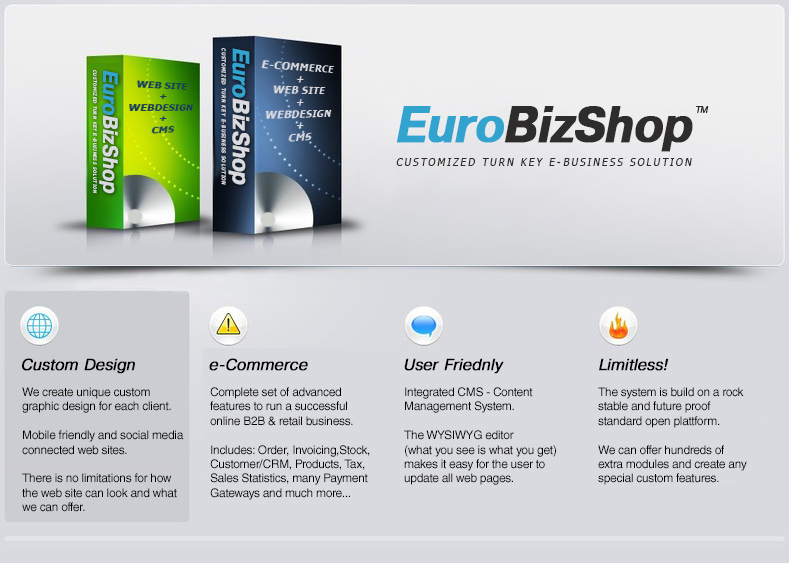 EuroBizShop is full featured, modern e-Commerce and CMS system. It's offered by us as a hosted solution for maximum reliability, performance and your safety. You can run it as a complete stand alone system with products, orders, customers etc or integrate it with your other business software.